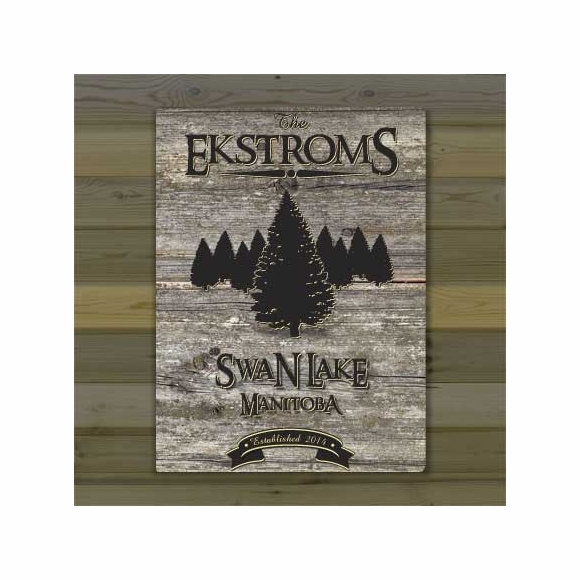 Personalized Country Cabin Canvas Print - - personalized wall art for your peaceful retreat. Great gift for anyone with a special rustic cabin, place in the woods, or lake house. Your name, town, state, and "established" date are printed on canvas with your choice of rustic image in the center of the canvas. Text and central image are printed on a background that resembles weathered wood.